Whether real wood, faux/poly vinyl or aluminum each has it's advantages. 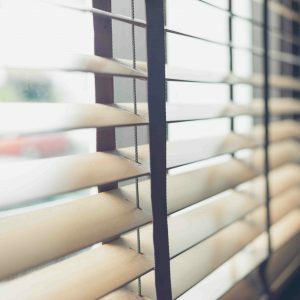 Better quality wood blinds are usually made of Basswood, although they are available in real species-specific woods such as oak, maple, cherry. 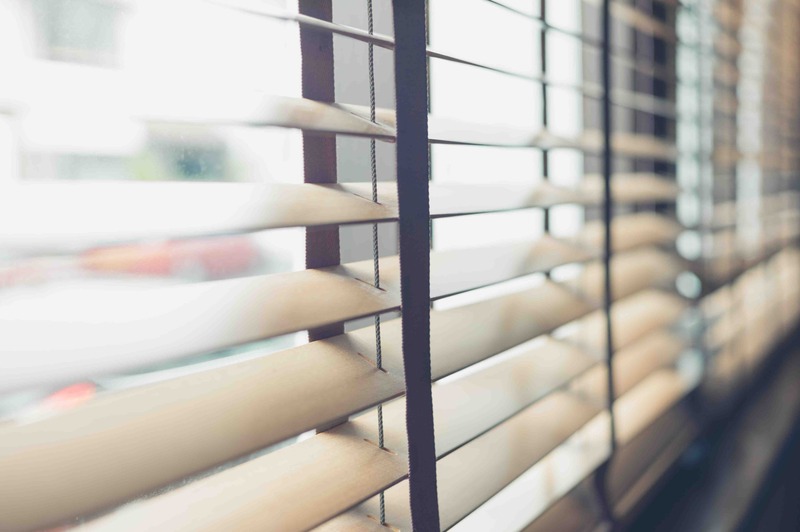 Slat widths from 1 3/8" on up to 3"..
From a variety of manufacturers in whites and stains. From smooth finishes to sandblasted and rich distressed finishes. Typically of basswood but also available in real species specific woods like oak, maple, pine, cedar and cherry wood. Prices from reasonable to outrageous. 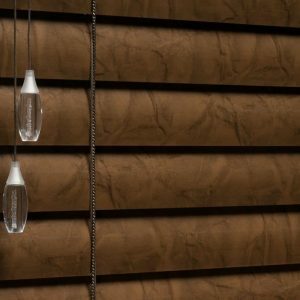 These products have become extremely popular in the last few years as a less expensive alternative to the real wood blind. They have some distinct advantages of water and sun resistance, however they do have disadvantages, too. BECOME EDUCATED BEFORE YOU BUY! TALK TO OUR DESIGNER! Extremely competitive prices are available. 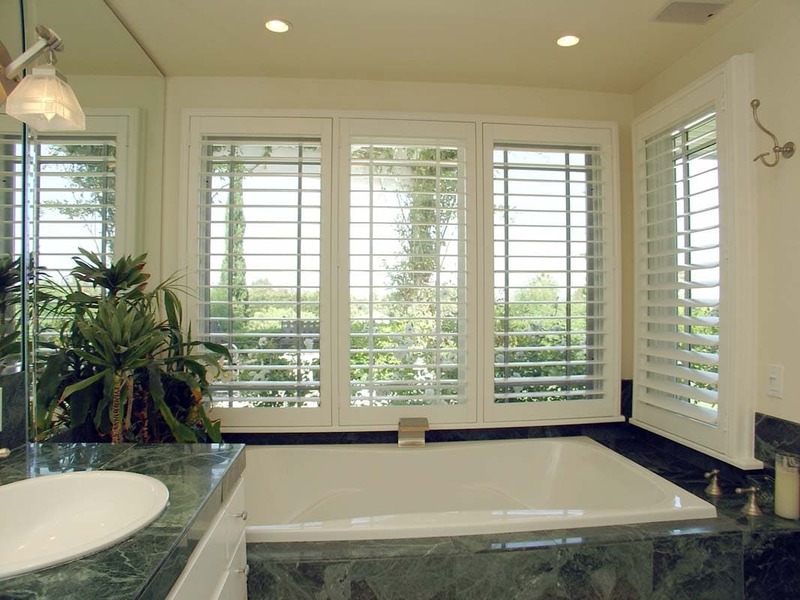 Always an economical and durable product with many applications. A standby for many homes that allows marvelous light control and large coverage at reasonable prices. Sheer fabrics can be added for an elegant yet economical look of softness. 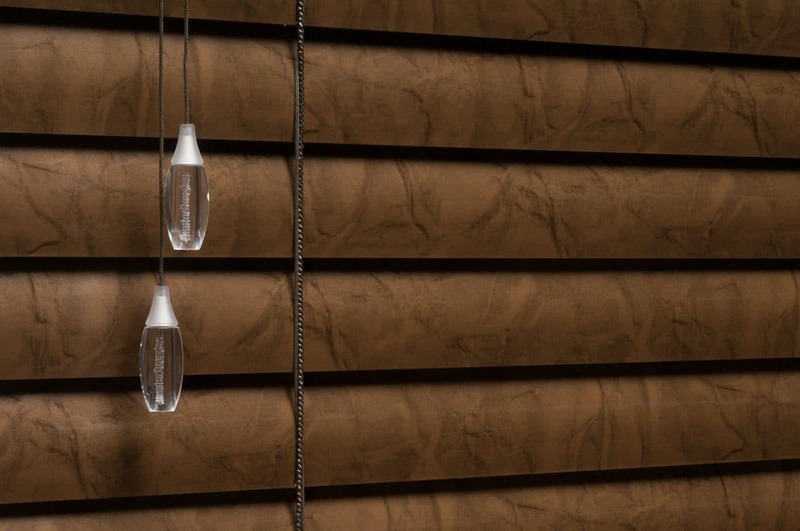 This imitates the very pricy Hunter Douglas Luminette® .